November 4, 2015, New York City Serena Williams is being dubbed “Super Serena” for catching the thief who swiped her cell phone while she was enjoying dinner with friends at a Chinese-food restaurant. The tennis veteran shared the details on social media, saying her instincts told her to be wary of a man who decided to stand next to her. Williams’ phone rested on the table, and though she admits to attempting to cease her suspicions, she was proved right when the unnamed thief dashed with her mobile device. The tennis star seemingly tracked him with ease and used a “menacing yet calm” voice to ask the thief if his actions were “accidental.” Needless to say, Williams left the robber embarrassed and returned to a standing ovation back at the restaurant. 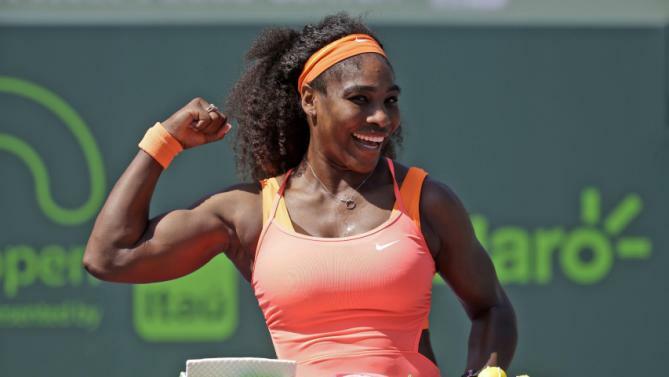 ← Previous Story WHO IS “COURTING” SERENA WILLIAMS NOW?